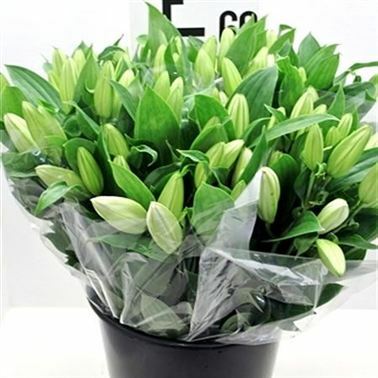 A batch of 12 retail ready White Oriental Lily pick-up bunches. 65cm tall & 3 stems per bunch. (Black bucket not included).